Paradise Valley is a small, affluent town in the Phoenix-Mesa-Glendale Metropolitan Area. Home to twelve resorts, Paradise Valley is one of the premiere tourist destinations in the state of Arizona. 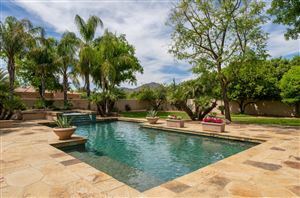 Resort-style luxury extends to the residents of Paradise Valley, where the median home price is $1.74 million. In addition to its resorts, Paradise Valley also includes five golf courses and three spas, further tying the town’s economy on the tourism industry.